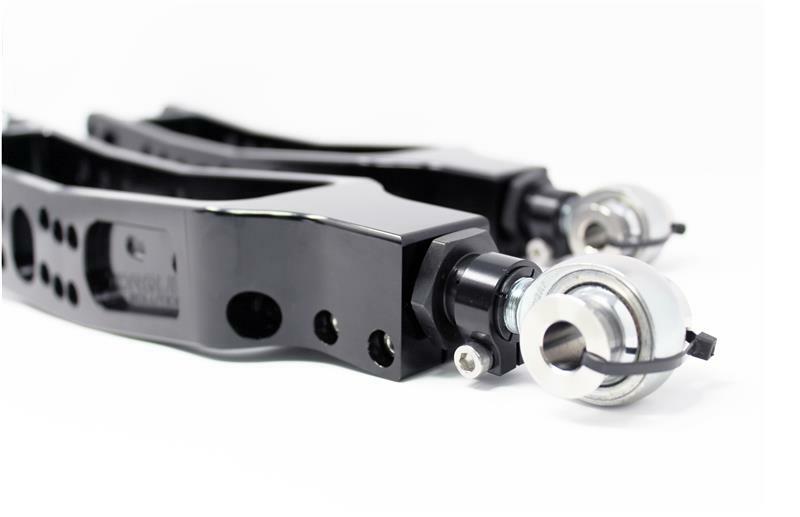 Torque Solution Control Arms will help restore the proper suspension geometry for lowered vehicles. 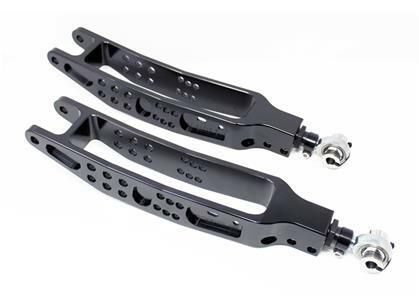 The factory control arms do not have the adjustment range needed to compensate when lowering vehicle. This results in poor tire wear and an insufficient contact patch. 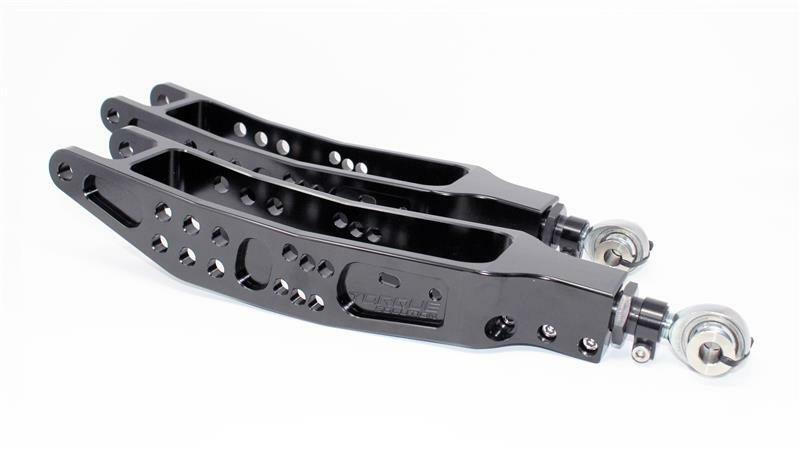 This kit will provide the additional adjustment needed. These work great for street and track use and do not transmit harsh vibration thru the vehicle.